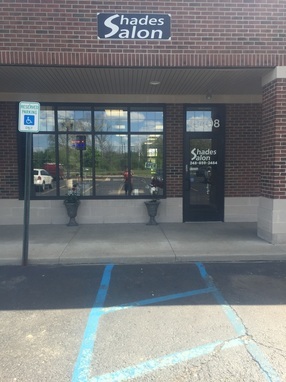 Shades Salon in Wixom - Hair and Beauty Salon located in Wixom, MI. Walk-ins always welcome! WALK-INS ALWAYS WELCOME AT SHADES SALON WIXOM! Shades Salon offers premier hair services in Wixom, MI. Whether you want to enhance your natural beauty or just escape from the trials of a long day. Shades Salon offers a retreat tailored to the specific needs of you and your hair. Step into a relaxing environment with a soothing ambiance and let us pamper you and your lovely locks. At Shades Salon serenity and repose are sedatives for happiness. We have a wide array of services. Please check out our service and pricing below. As a leading provider of the beauty industry, we take pride in offering the best. We are dedicated to serving the needs of our customers each and every day. We have stylists for everyone. We cater to women, men and the kids to! Please bring the whole family. We have stylists with 20+ years expeirence. They have recieved awards in top color expertise and styling. Our staff is creative, up to date with the latest trends and attend classes regularly to keep up on the newest tricks of the trade. We will spend the time it takes to figure out exactly what you want and we will do our best to achive the goals you have for your hair. We understand how important your hair style can be to you,after all your hair is your best accessory, you wear it everyday! At Shades Salon we believe in having the most highly skilled professional stylists we can find. Our friendly and informative approach to your hair is the hallmark of our service. We love to find new challenges and we are excited to take the journey with you. We are also up to date with all of the latest trends and techniques. We continue to expand our technical skills with classes and workshops. The beauty industry is an ever changing industry and evolving with the times is what keeps a salon at the top of their game. We love interacting with our customers on a daily basis and our proud to have so many repeat customers that trust us with their most important asset, their hair! Contact us today to find out how we can bring joy into your every day. Proud to use only Schwarzkopf & Goldwell hair color.